Hello, lovelies~ If there is one thing I would spend my money on from the skincare department, that would be serums or essences. 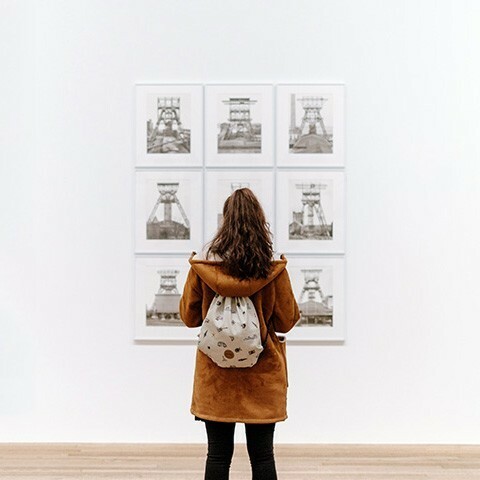 I feel that I get a bang for my buck even if I splurge on a serum that is loaded with active ingredients that are beneficial for my skin. 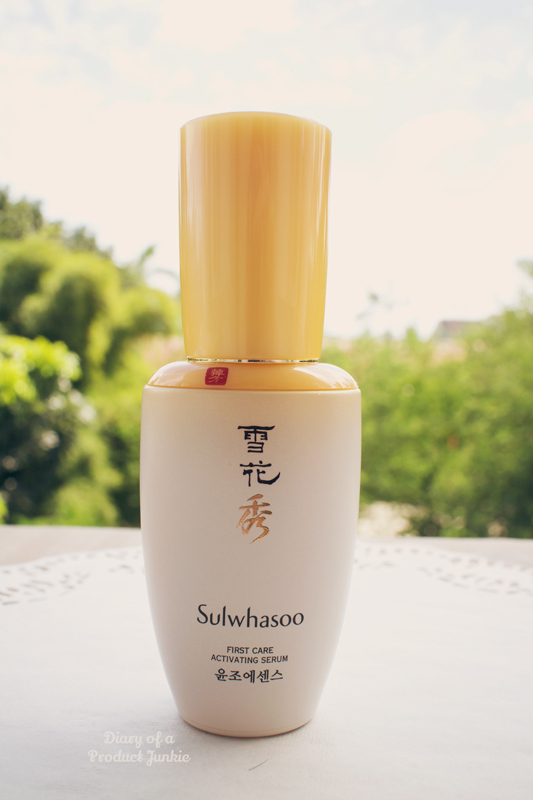 With that being said, let me introduce you to one of the best sellers from Sulwhasoo Essential Line, First Care Activating Serum. Initially, I thought it was going to be a twist off cap with a huge opening at the top. However, it turns out to be a glass bottle with a pump on the end. Pretty neat, huh? With Mondo Grass (Ophiopogon japonicus) and Licorice root extract being the first two ingredients on the list, I was blown away because most organic/natural-souce brands have their extracts way down the bottom of the ingredients list. This means that the amount of the extract is the highest amongst the other ones. It does contain alcohol, so I have to wary of it since my skin tends to react badly to alcohol. Fragrance is still in this serum, but it is the last ingredient, so I assume that there isn't much of it. The consistency of this serum is runny, almost like water but slightly thicker. It has a soothing, herbal scent that makes me feel relaxed when I apply it to my face. The brown colored serum is meant to be used right after washing your face as it helps to boost the absorption of other skincare products afterwards. 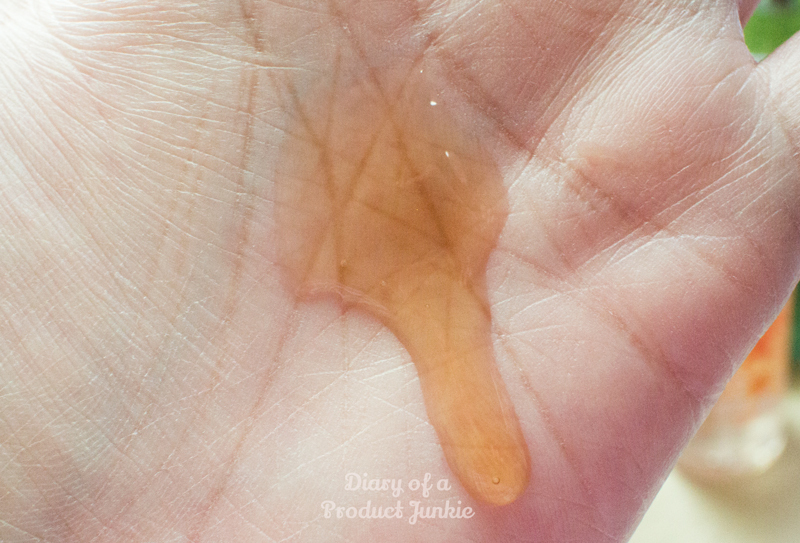 I was skeptical about the finish of this serum because on my hand it looks slightly thick. I'm worried that it may leave a greasy or sticky finish on my face after I massaged it in. Despite its consistency, I find the serum sinks into my skin within seconds, without any greasiness or stickiness afterwards. All it does is leaves my face smooth and supple, especially on my cheeks. Overall, the herbal scented serum is my second favorite in the whole set because of its consistency and scent. Even though it has a herbal/medicinal scent, I feel that it isn't too overwhelming since it disappears after a few seconds.